"When I started my own law firm in 2007 Morning Star Press were right there with me to help with the design and printing of my first solo business cards and letterhead. They were easy to talk to and explained everything. As my business has grown, Morning Star Press have developed the design of my stationery and helped with the layout and production of newsletters. The team at Morning Star have always been helpful, friendly and have a keen eye for detail. I started with Morning Star Press and have never thought of changing. They are an integral part of my business." "Morning Star Press have provided Elk with a high quality, professional printing service for many years. They offer the personal service of a small business with the high quality service and standards of a large printing firm. We print a wide variety of products with them and all jobs are printed on time and to the best standards." "Morning Star Press has been providing all of our company stationary and printed material for many years now. They provide us with an excellent level of service where nothing is too much. The quality of the work and print has always been of a very high standard and the production and delivery is always prompt. 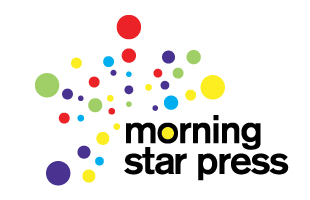 I have no hesitation in recommending Morning Star Press to any organisation looking for quality print, that is affordable and reliable."